In the past few days I have had a large number of “search hits” on SHUNPIKING WITH RAY with people looking for information on this year’s Old Home Day celebration. That was because my mention of it in my posts for AS IT WAS…AND STILL IS… WALPOLE, NEW HAMPSHIRE. So, to help, I woke up this morning saying, “Ray, post the full schedule for out-of-towners looking for details to enjoy our weekend.” So, below is the full schedule. 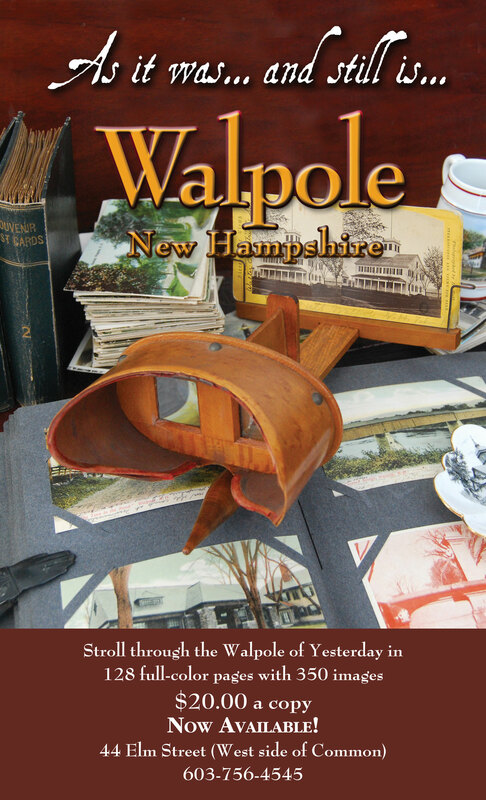 And when in town, do stop by a take a look at AS IT WAS…AND STILL IS… WALPOLE, NEW HAMPSHIRE. WALPOLE OLD HOME DAYS 2014 – Update 11AM — the Block Party tonight will be on the Common and in the Town Hall … and, CORNELIA will make her “popping debut” right along with the festivities tonight. See you there. Awards given right after performance. for all who attended the Academy and spouses. Many more info booths on the common! sponsored by Cold River Materials Savings Bank of Walpole Parking Lot. 12pm-3pm Hay rides around town provided by John Tarmey Jr.
in support of Walpole Village School. This entry was posted in Miscellaneous Musings and tagged new book Walpole NH, NH, Walpole, Walpole history, Walpole New Hampshire, Walpole Old Home Days. Bookmark the permalink.